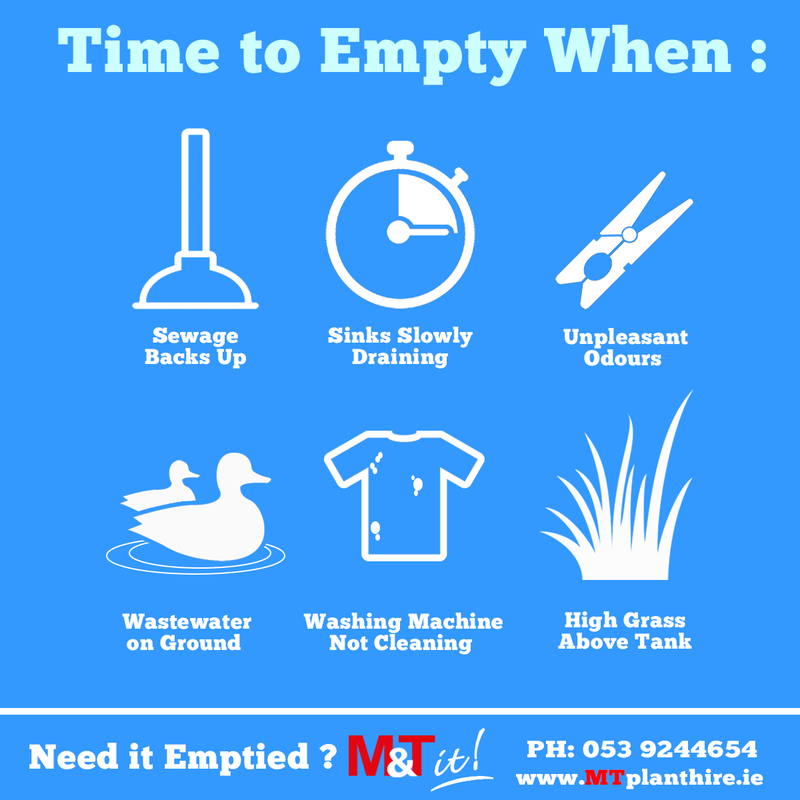 M&T Plant Hire Ltd are the leading specialists in septic tank emptying in the South East of Ireland. When we empty the septic tank, we then power wash all the lines that feed into and out of the septic tank, to ensure that there are no blockages. An average household of 4 people and with an approximate 1500 gallon septic tank should have their septic tank cleaned out at least every 3 years. Sewage backs up in the drains or toilets. Wastewater on the ground surface above and near the system. Lush green grass over the septic tank/ soak pit , even during dry weather.